Saudi Arabia’s energy minister Khalid al-Falih spoke at the Oil & Money Conference in London this week, where he offered a robust defense of OPEC’s 2014 decision to not intervene in the market to try to support oil prices. He also warned that future supply shortages could lead to a price spike. While many of the conference participants and industry titans are rightly focused on supply, the demand side of the equation is equally uncertain. Saudi energy minister Khalid al-Falih expects global oil demand to rise by 4 million barrels per day between 2015 and 2017. A large portion of that growth will need to come from China and India, the greatest source of incremental demand growth. But oil demand faces an enormous downside risk should the Chinese economy slowdown more than expected. And it would face a very bumpy ride if China suffered a “hard landing,” which The Economist Intelligence Unit (EIU) thinks is distinctly possible in the next two years. According to the EIU’s “central global forecast,” China’s economy will hit the rocks in 2018. “The effects of a sharp slowdown in China in 2018 will be felt around the world,” the EIU wrote in its October Global Forecast. “The rest of the world will feel a chill through declines in equity prices and in consumer and business confidence.” On top of that, the EIU sees the U.S. dipping into recession in 2019. If those events come to pass, oil prices won’t rebound much higher than where they are currently until the 2020s. 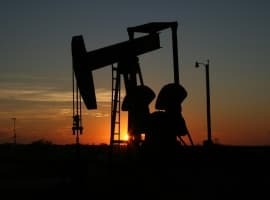 The EIU projects oil prices to trade between $55 and $65 per barrel “for most of 2017-21.” Of course, prices will move up and down and characteristically suffer from volatility, but the EIU says that demand from emerging markets combined with “producer restraint” will put a floor beneath prices. And high inventories and a resilient U.S. shale industry will put a ceiling on any price rally. 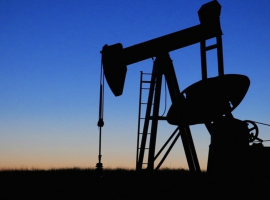 The result will be a “new equilibrium” roughly around $60 per barrel. There is no shortage of opinions out there on where oil prices will go, and there will never be a consensus. Some, like the EIA, IEA and OPEC, see higher prices ahead. Others like the EIU, Exxon’s Rex Tillerson and a range of investment banks see low prices for years to come. In between those very different market outlooks, there is a plethora of projections, ensuring anyone can find a specific answer that they are looking for.